Military program managers briefed biopharmaceutical industry and research organization representatives during a Nov. 2 Industry Day, part of an initiative to establish a unique consortium for advanced development efforts to support the Department of Defense’s (DoD) medical pharmaceutical and diagnostic requirements. 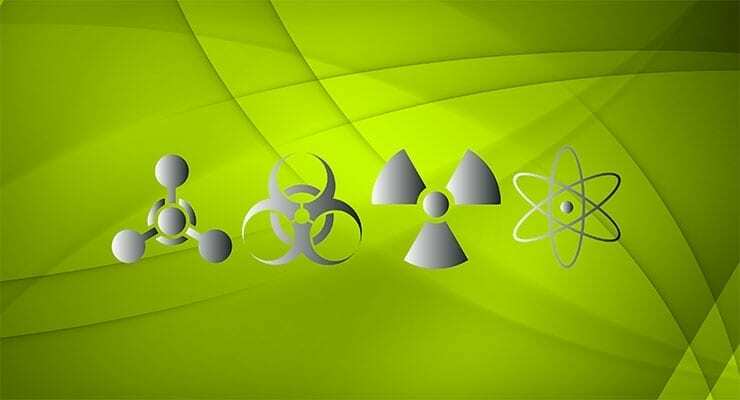 Lead by the Joint Project Manager for Medical Countermeasure Systems (JPM-MCS), the Consortium OTA (Other Transaction Agreement) business model is a new binding contractual instrument to work with DOD to develop FDA Licensed Chemical, Biological, Radiological, and Nuclear (CBRN) Medical Countermeasures. The Consortium OTA will have an initial $10 billion ceiling and a 20-year performance period. LTC Marla Ferguson, Joint Product Manager for Chemical Defense Pharmaceuticals, briefed attendees on requirements for therapeutics delivered via autoinjector for the treatment of nerve agent casualties and therapeutics; prophylactics for Acute Radiation Syndrome; well characterized animal models CBRN medical countermeasure development; and innovative and emerging technologies to support rapid development and delivery systems. Toxin therapeutics – Botulinum Neurotoxin, Ricin, SEB etc. According to LTC Midboe, enabling technologies can include animal models of viral, bacterial or biological toxin disease and pathogenesis (multiple routes of exposure), assays, diagnostic technologies or other platform technologies that can be applied to development of approved or licensed MCMs. LTC Victor A. Suarez of the Joint Vaccine Acquisition Program (JVAP) discussed expectations of performers and anticipated requirements for development of vaccines providing broad spectrum protection against a range of biological agents and a range of exposure routes. The Industry Day also highlighted the Advanced Development & Manufacturing Capability (ADMC), a contract awarded to Nanotherapeutics in 2013. Tim Belski, ADMC Joint Product Director, discussed the potential for consortium partners to utilize ADMC capabilities for biologics process development; manufacturing of monoclonal antibodies, vaccines and recombinant proteins; small molecule development; and regulatory and clinical trial support. The ADMC provides stable manufacturing facilities for multiple products and teaming capabilities for companies without inherent capabilities or who do not wish to use their own capabilities on DoD products. Letters of Intent for the Consortium OTA are due by Nov. 24, 2015. Further details are available via Solicitation Number: W15QKN-16-Z-3188.